When the Celtic reserves lined up against Falkirk on Monday afternoon all eyes were on Vakoun Issouf Bayo as he made his first outing in green and white, while other senior players were closely watched by onlookers. Having missed out on playing against Hibernian due to Emilio Izaguirre’s injury, the fans had to make do with the January signing making his Hoops bow in less impressive surroundings, all in a bid to get him back up to fitness after not playing a game since the start of December. However, rather than Bayo nor first team fringe players Marvin Commper or Scott Allen making headlines, it was teenage pair Armstrong Oko-Flex and Jack Aitchison who stole the limelight for the Bhoys’ second string side, netting a brace apiece on the way to a 4-1 victory. If some of the Parkhead faithful are left scratching their head trying to remember who Oko-Flex or Aitchison are, they are to be forgiven for they are very much in the fledgling stages of their careers. However, being so young does not mean they are not ambitious, with 16-year-old Oko-Flex harbouring a hefty dream at Parkhead, telling the Daily Record: “My personal target it to make my debut before I turn 17. Having joined from Arsenal, he has gone from strength to strength and to be playing reserve team football at his age is impressive enough, let alone outshining his senior counterparts. 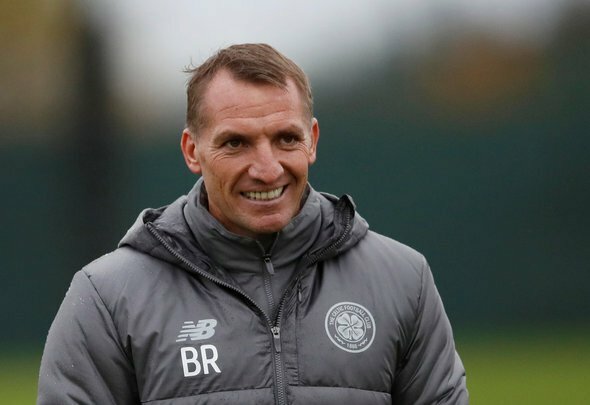 Aiming for a debut before his 17th birthday, which comes at the start of March, Oko-Flex is destined to find his heart broken by Brendan Rodgers, who is almost certainly not going to throw the youngster in this soon – but that does not mean he cannot achieve great things at the club. His ambition is a great sight for the Parkhead faithful and he looks set to be banging in the goals for the first team in the not too distant future.